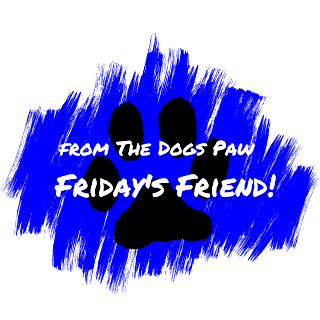 Friday's Friend! Dog Adoption, Lab Rescue of the L.R.C.P., Inc.! WOOF! Happy Valentine's Day! I know it's a little early but, paws, the graphic I received from Lab Rescue about their special adoption event reminded me that Valentine's Day is coming next week! WOOF! Barkingly, why not share the day with two new loves in your life? WOOF! A pair of pawsome Labrador Retrievers? Please visit Lab Rescue - Pairs! 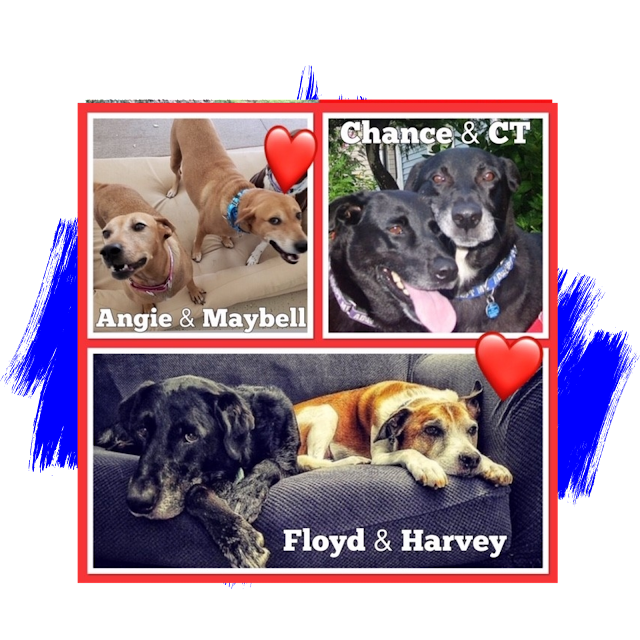 Barks, while I am not certain the dogs shown in these graphics are still available for adoption, Lab Rescue has other dogs which are bonded-buddies who are looking for their "Forever Home!" Bonded Buddies? 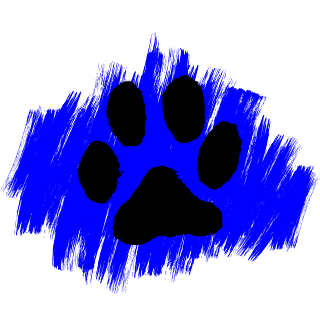 Paws, that's my name for two dogs, or even two cats, who have been together all, or most, of their lives. When that happens, efforts are made to adopt the two dogs, or cats, together! WOOF! 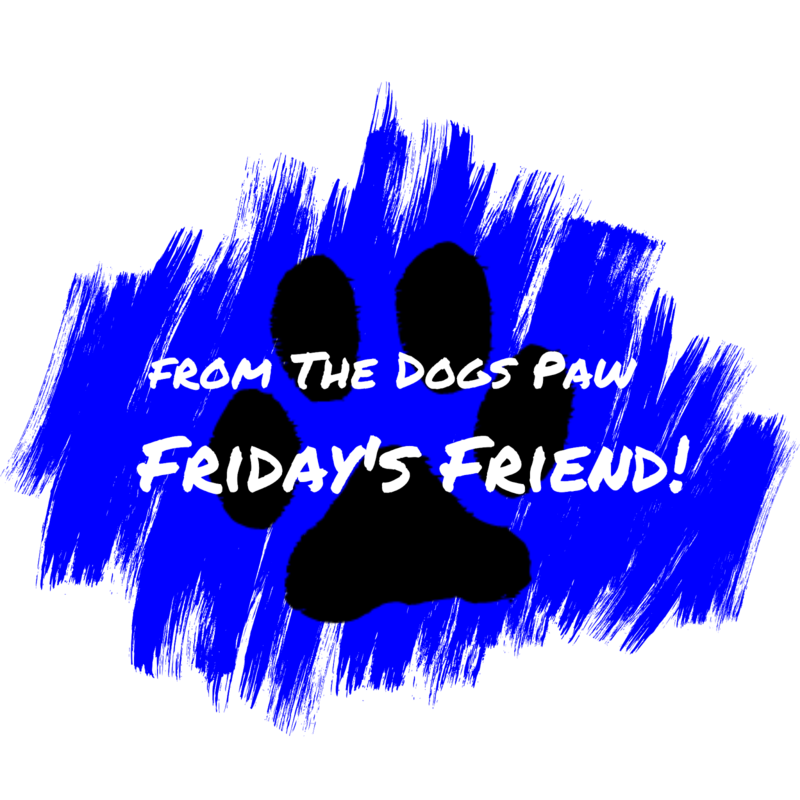 My incredibly pawsome friend "Lab Lady" reminds me this is the last week of their special adoption event! 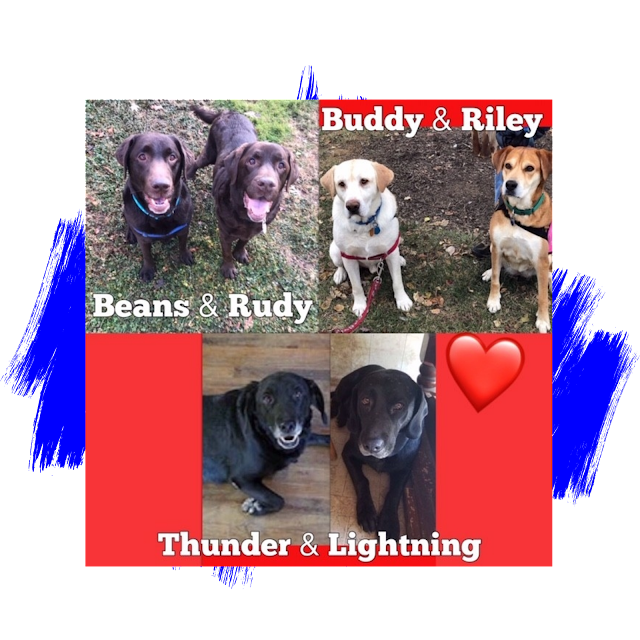 Barkingly, Lab Rescue, is hosting a pawsomely special adoption event for the bonded-buddies who have found their way to the rescue. From now through February 14, Lab Rescue is offering a $200 discount per pair off the usual adoption fees thanks to two generous supporters! Please visit Lab Rescue - Pairs. If you would like to learn more about dog adoption, pawlease visit Lab Rescue Adoption Guide! BARKS! Do you pawsitively absolutely love Labrador Retrievers but are not able to adopt? Please consider supporting Labrador Retrievers financially. Donations will assist with their care. Interested, please donate HERE!